With valet OR Tambo airport parking, simply drop your car off at the terminal, where a driver from the chosen car park will meet you and drive your car to a secure car park, where it will be parked for the duration of your stay. Upon your return, the car park will be tracking your flight, so they know when you arrive back at the airport. Give them a call once you have collected your luggage and they will have your car ready for you to collect. OR Tambo airport parking doesn't get any easier! Booking online or over the phone is quick and easy. To receive great service at an attractive price book parking with ParkVia now. OR Tambo airport parking is convenient and easy with ParkVia. OR Tambo has been continually updated in the past years, making it a truly modern airport. The airport is South Africa's direct link with the rest of the world. 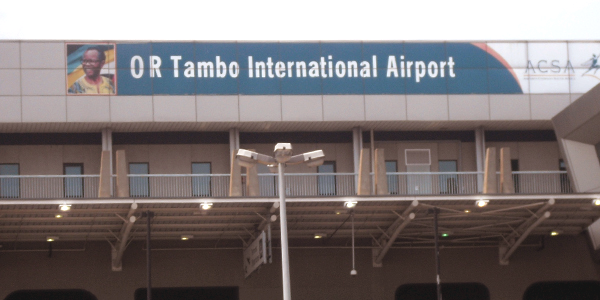 OR Tambo, previously known as Johannesburg airport, took its new name in 2006 after Oliver Tambo. Tambo was an anti-apartheid politician, who co-founded the ANC Youth League with Nelson Mandela in 1943. The airport is the busiest airport in Africa with more than 19 million passengers flying to and from the airport every year.